Selling your motorbike in Melbourne ? Trying to sell your bike privately can often become a nightmare, especially if you lack experience in advertising and confidence when it comes to negotiating. So why not leave it to the experts at Are You Selling? Our experienced staff are located Australia-wide so no matter where you are in Melbourne or across Victoria, we can come out to meet you and give you an unbeatable price for your bike. Easy, stress and hassle free! As long as your bike is a post-2004 make and has under 160, 000kms on the clock, there’s absolutely no catch. And if you’re happy with the deal, we offer payment before collection, within 24 hours. So fill out our form to get a quote and sell your bike in Gold Coast today! You'd be surprised at how common this question really is. It can be a pain in the you know what to sell a bike - especially when it's used. And selling privately can be a bigger hassle and time-waster than your patience will allow for. So, with all that in mind, the obvious best place to sell your bike would be at Are You selling. Here, we pride ourselves on helping people turn their used motorbikes into fast cash. We purchase thousands of used bikes a year - with a smooth, seamless approach! 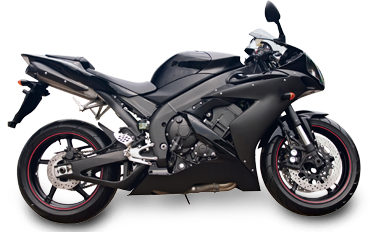 So, no matter if you have a dirt bike, sports bike, cruiser or any other type, we'll give you a fair price for it. We buy used bikes from the most popular brands to those lesser known in the industry. So you can stop wondering why you can't find anyone to 'buy my motorbike in Melbourne', and start deciding when you want us to visit you to purchase your bike from you.